As of today, you can use RSS to subscribe for your monthly dose of ZX81 goodness. 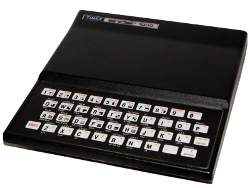 I originally hadn't planned to offer an RSS feed for my ZX81 site. The original goal was to cross-post articles to my main site and rely on its feed for subscribers. Sadly I tend to forget to cross-post. Your browser should automatically find the new RSS link. If not, I've provided an RSS for Posts link to the right. I use Google's Feedburner service to manage my feeds and ensure optimal compatibility. You can learn more about this change from my recent blog post: Hacking Up RSS.